HENRY, JOHN, author and spy; b. c. 1776 in Dublin; m. c. 1800 Miss Duché of Philadelphia, and they had two daughters; d. 1853 in Paris. In 1807 Montreal society was enlivened by the arrival from the United States of John Henry, then about 30 years old. Henry was perceived by his new circle – the McGills, Frobishers, Richardsons, and McGillivrays of the Beaver Club, as well as government officials visiting from Quebec – to be handsome, charming, learned, and articulate. A particular attraction for this group lay in the fact that he professed a fervent monarchism, despite having grown up a Roman Catholic in Dublin and having lived for more than ten years in the American republic. He was also a man of the world. After having immigrated to the United States to seek his fortune about 1796, Henry had successively edited a newspaper and managed a wine business in Philadelphia, been an active propagandist for the Federalist party in Cambridge, Mass., and run a farm in Vermont, where he had also studied law, given speeches, and written articles in the Federalist cause. His wife, who had died not long after their marriage, had been the daughter of a prominent Episcopalian clergyman of Philadelphia. Henry’s marriage had brought him some money but he had no patrimonial fortune of his own. He estimated his income in 1807 to be £400 a year, half of which derived from real estate in the United States. Soon after his arrival in Montreal, Henry appears to have met and favourably impressed that arch-intriguer for patronage, the civil secretary, Herman Witsius Ryland*. They soon became fast friends. 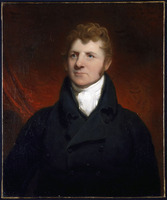 When, in October 1807, Henry wrote to Ryland communicating the view of his correspondents in the United States that war with Britain would lead to a “dissolution of the Confederation,” the civil secretary foresaw the possibilities. Henry could speedily gain high favour by employing his political experience and talents in the interests of Lower Canadian and imperial security. His opportunity came early in 1808 when he was called to Boston on private business. By early 1809 Craig, doubtless influenced by Ryland, decided to dispatch Henry on an official undercover mission to Vermont and Massachusetts. Issued instructions dated 6 Feb. 1809 and marked “Most secret and confidential,” Henry was to obtain accurate information on the strengths and weaknesses of the two political parties and on public opinion concerning the probability of war with Britain. It was especially urgent that he carefully estimate whether the Federalists of the eastern states would be able to exert influence “to bring about separation from the general Union” and to what extent “they would look up to England for assistance or be disposed to enter into a connexion with us.” If Henry succeeded in contriving “an intimacy” with any leading Federalists, he was authorized to open a secret correspondence between them and the governor. To convince such persons of his bona fides, he was issued a letter of credence from Craig, but was to exercise extreme caution in communicating it. His letters to Craig were to be sent under cover to an executive councillor, John Richardson*, with only a private mark to indicate that they should be forwarded to the Château Saint-Louis. Henry’s expenses would be paid by the government, but he was promised no reward. From 14 February to 22 May 1809 Henry wrote Craig 14 letters which in due course were forwarded to Castlereagh. In them he included much detail on elections, political parties, and anti-war sentiment. He reported conversations with leading Federalists, whom he invariably portrayed as potentially disloyal to the United States but whom he was unable to quote to this effect. Indeed, he appears to have gathered his information from newspapers, coffee-house chatter, and dinner parties. He uncovered no plot of secession and did not dare reveal his letter of credence. Nevertheless he confidently concluded on 6 April that in the event of war the Federalist “Junto of Boston” would, as a preliminary to separation and an alliance, make “application to the Governor General of British America for aid . . . which would protect the seaport towns.” Soon after Britain and the United States appeared to have reached an agreement exempting the former from the embargo, Henry was recalled. He arrived in Montreal on 11 June. 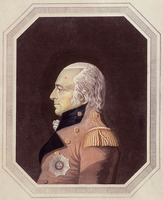 During and immediately after Craig’s “reign of terror” in March 1810, Henry supported the government’s position. 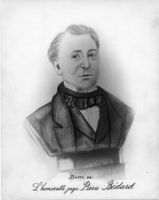 On 19 March, the very day that Pierre-Stanislas Bédard* and two other leaders of the Canadian party, François Blanchet* and Jean-Thomas Taschereau*, were arrested on suspicion of treasonable practices, a letter by Henry, signed Camillus, was published in the Quebec Mercury, arguing that the assembly was run by men who had everything to gain and nothing to lose by revolution. In April and May extracts from a chapter of a proposed book by Camillus appeared in the Courant. The author then decided to publish the entire chapter as a pamphlet. An enquiry into the evils of general suffrage and frequent elections in Lower Canada was Henry’s attempted synthesis of many of the ideas of the governing clique. As long as the French Canadians retained their language and customs they were a potential threat to security. The ignorance and national prejudices of the habitants made them easy prey to designing demagogues such as the professional men of the Canadian party. The real fault lay in the Constitutional Act of 1791 which had given the vote to almost every male head of household and did not enact property qualifications for members of the assembly. The inevitable result was an elected house entirely in the control of “attornies and attornies’ clerks, country clowns, dram sellers and bankrupts.” Henry’s solutions were commonplace among the governor and his advisers although he avoided several controversial questions. He suggested that a member of the assembly should be able to read and write his vernacular tongue, understand English well enough to render it into his own tongue, and meet certain income or property qualifications. Voting should be restricted to those who met other income or property requirements. After a few years, English should become the sole language of the law courts and the assembly. English schools should be established in every parish containing 100 families. Henry was confident that these and other measures would ultimately lead to the anglicization of the French Canadians. Then and only then would the colony be a safe and useful appendage of the British empire. As his activities in Lower Canada indicate, Henry expended much energy to gain the favour of the powerful. But, fundamentally, he was a lazy man, driven by a profound need to feel important. Henry would not take Ryland’s advice to qualify for the bar, finding it impossible to associate with the “miserable creatures,” ignorant of Justinian’s science, “who crowd and disgrace the profession” in Lower Canada. There was, indeed, “no private pursuit” which could offer “adequate inducement to even more humble abilities than mine.” He was, however, prepared to act as judge advocate of the militia and army or to improve the deplorable quality of the Montreal magistrates’ bench by becoming chairman of the Court of Quarter Sessions at £500 a year. He succeeded in gaining neither post. 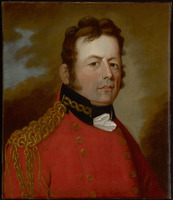 Henry had applied in September 1809 for the position of sheriff of Montreal, to take effect upon the death of the 66-year-old incumbent, Edward William Gray*. When, in the summer of 1810, Ryland was sent to England by Craig, Henry hastened after his patron. This may have been an error, for when Gray died later that year, Craig felt obliged to appoint a replacement, Frederick William Ermatinger*, immediately. While in London, Henry appears to have helped William McGillivray* prepare a pamphlet entitled On the origin and progress of the North-West Company. The pamphlet emphasized the role played by the NWC in stimulating British manufacturing and in keeping the Indians loyal, outlined the perils of American competition, and asked for a charter granting the company a monopoly of trade in the Columbia River country. No doubt Henry expected a favour in return. But whatever influence the London merchants and Ryland may have exercised in his interest, it was not sufficient. Nor was his extravagant portrayal of the espionage mission. 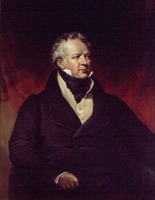 In a memorial to Castlereagh’s successor, Lord Liverpool, Henry claimed that Craig had promised him public employment at more than £1,000 a year. He would, however, settle for a post at £500 a year. In a second petition, Henry described his indefatigable efforts in 1809 to strengthen and organize the Federalists, asserting among other things that he had drafted most of the resolutions of assemblies in New England denouncing the embargo. No doubt sceptical, Liverpool confined his enthusiasm to a general recommendation in Henry’s favour, addressed to Sir George Prevost*. On board ship during his return voyage, Henry fell in with an engaging rogue, then posing as Édouard, Comte de Crillon, knight of Malta, and scion of a famous noble family of mixed Spanish and French origin. Crillon was in reality a notorious swindler named Soubiran, wanted by the French police. He soon convinced Henry that he had suffered intolerable injustice at the hands of the British and that he should sell his papers to the government of the United States. 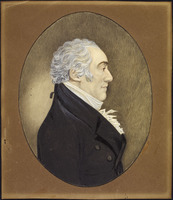 In Washington, Crillon opened negotiations on Henry’s behalf with the secretary of state, James Monroe. The times were propitious: war fever was spreading through the country, save New England, and President James Madison had adopted a policy of brinkmanship. Madison saw in the Henry disclosures a perfect opportunity to unite the country for war and to discredit the Federalist opposition. The bargain was struck on 7 Feb. 1812. In return for the papers, Henry would receive the princely sum of £18,000 ($90,000). The entire secret service budget voted by Congress, $50,000, was paid to him. The remainder, $40,000, would be made up by Crillon, who in a flourish of generosity deeded to his friend an ancestral estate, “St. Martial,” in Gascony and in his capacity as knight of Malta made Henry his squire. Crillon was to be reimbursed later by the government of the United States, a scheme which miscarried when the American minister to France uncovered the imposture. Crillon did, however, receive from Henry a gift of $1,000 and a loan of $6,000. The papers sold included Craig’s secret instructions, copies of Henry’s letters to the governor while on the mission, and copies of his two memorials to Lord Liverpool. Henry doctored the papers by making erasures or in some cases rewriting segments. The names of Federalist friends were omitted and the extravagant claims made in the second memorial were deleted. A few additions suggesting Henry had become privy to seccessionist plotting were included. On 9 March Madison submitted the papers to Congress. They revealed, he stated, that while the United States was negotiating in good faith with Britain, the latter had employed a secret agent to intrigue with the disaffected for the purpose of destroying the union. The immediate effect was sensational, but when the innocuous nature of the letters came to be understood and it was learned that the entire secret service budget had been spent, Madison’s strategy backfired. War fever was not, for the moment, further aroused, the government appeared to be run by fools, and in New England sympathy for the Federalists grew. It is therefore incorrect to suggest, as is sometimes done, that public reaction in the United States to the Henry papers contributed to the War of 1812. Henry had prudently sailed for France before the papers were made public. Soon after landing, he learned that he had been swindled. Not only was the sole heir of the Crillon family living in Paris and “St. Martial” non-existent, but the securities Crillon had given Henry for the loan proved worthless. There was doubtless some satisfaction to be found when Soubiran landed near Bayonne in the summer of 1812 after being deported from England and was promptly arrested for impersonation. PAC, MG 11, [CO 42] Q, 109; RG 4, A1: 30609–1009, 34095–533. “Anticipation of the War of 1812,” PAC Report, 1896: 38–64. [Duncan McGillivray], “Some account of the trade carried on by the North West Company,” PAC Report, 1928: 56–73. DAB. I. N. Brant, James Madison (6v., Indianapolis, Ind., 1941–61). E. A. Cruikshank, The political adventures of John Henry: the record of an international imbroglio (Toronto, 1936). S. E. Morison, By land and by sea; essays and addresses (New York, 1953). Bradford Perkins, Prologue to war: England and the United States, 1805–1812 (Berkeley and Los Angeles, Calif., 1961; repr. 1963), 369–72. P. C. T. White, A nation on trial: America and the War of 1812 (New York, 1965), 110–11. Henry Adams, “Count Edward de Crillon,” American Hist. Rev. (New York and London), 1 (1895–96): 51–69. C. S. Blue, “John Henry, the spy,” Canadian Magazine, 47 (May 1916): 3–10. F. Murray Greenwood, “HENRY, JOHN,” in Dictionary of Canadian Biography, vol. 8, University of Toronto/Université Laval, 2003–, accessed April 24, 2019, http://www.biographi.ca/en/bio/henry_john_8E.html.